How To Relief Pain, Nausea & Anxiety with a DIY Acupressure Massage! Acupressure stems from ancient Chinese medicine, where it's believed that many energy lines run through our bodies, also known as meridians. These meridians run all the way from our fingertips to our brains and toes and connect to all our organs, enabling a system of communication. Through the meridians runs a vital energy, known as qi (chi). Like in Ayurveda, it's believed that when there are blockages or imbalances in our meridians, we get ill. Acupressure and the related technique acupuncture can relieve these blockages and imbalances. All along the meridians in our bodies lie pressure points, which are often connected to organs. During an acupressure massage session, acupressure practitioners use their fingers, palms, elbows, feet or a device to target specific target points. They apply gentle, gradual, but steady pressure on the pressure points for about three minutes, until they sense a soft pulse under their finger. This pulse is called the therapeutic pulse. When practitioners feel this they know the blockage or imbalance has been relieved, and that they can move on to another point. Where to find it: In between your thumb and index finger. Helps with: headaches, sore throat, fever, lower back pain, and postopreative pain. Where to find it: In between your two biggest toes. Helps with: menstrual cramps, headaches, vision problems, shortness of breath, lower back pain and insomnia. Where to find it: About three finger widths above your inner anklebone on the lower calf muscle. Helps with: abdominal pain, digestive problems, insomnia, dizziness, and pain in the lower back, knee, ankle and foot. This pressure point is a contraindication during pregnancy! Where to find it: About a hand's length below your kneecap on the outside of your lower leg. Helps with: Almost any digestive issue imaginable, heartburn, nausea and hiccups. It also an invigorating effect on your body. Where to find it: in the groove between the two large tendons on the inside of your wrist, the ones that start at the bottom of your palm. Helps with: nausea after surgery and chemotherapy, from motion sickness and related to pregnancy. Choose a pressure point and then use prolonged finger pressure directly on that point. Do it in a steady and gradual way for about three minutes, and then move on to another point. Before starting on your own though, Spa Sophia's massage miracle worker Michael Canvin highly recommends to see an acupressure practitioner first. Most of our Los Angeles massage therapists are experienced in the acupressure technique. Want to book an acupressure massage at Spa Sophia? Book one online, email us, or call (310) 564 6676. Namaste! Which Massage Should You Get? It's massage month all October at Spa Sophia! Bring one friend in and both get 25% off your massage! Massages have been proven to have a wide range of health benefits, but which massage should you get? Not knowing can lead to quite unwelcome surprises. A deep tissue massage for example is quite a different experience than a Swedish massage. To help you select the massage that's best for you Spa Sophia will break down all the massages we offer, the differences between them, and for whom they're best suited. Read on! The deep tissue massage focuses on the deepest layers of muscle tissue and tendons and addresses trigger points in the muscular, skeletal and nervous systems. Our experienced massage therapists use elbows and knuckles to really alleviate tense trigger points. This is not the massage you want to get if you're looking for a relaxing experience; A deep massage can be quite an intense experience and you could feel sore for a few days after. You should get this massage if you have dense muscle or particular sore spots, such as a tense neck and shoulders. Spa Sophia's Sports Therapy massages are customized for your specific sport. There are several different types of sports massages: the pre-event sports massage, the post-event sports massage, the restorative sports massage and the rehabilitative sports massage. While all are slightly different, they either loosen, warm and prepare muscles for future performance or relieve pain and stiffness. A sports massage increases flexibility, range of motion and can speed up injury recovery. Sports massages are best for athletes, people that work out a lot, people with injuries or a restricted range of motion, and people that are doing physical therapy. If you don't know which type of sports massage you should get, no worries. We will always consult you in advance. The Spa Sophia Signature Massage is a customized massage that targets all those areas that are tense and painful for you, but not in the intense way the Deep Tissue massage does. The Signature Massage is a comfortable experience and will leave you feeling relieved and totally relaxed. Who Should Get A Signature Massage? If you don't know which massage you should get, this one is a good place to start. It's relaxing yet still alleviates trouble spots. The perfect massage to get after a long day of work! Pregnant women face a special subset of aches and discomforts, such as pain in the lower back. On top of that they can’t lay on their belly as is custom for most regular massages. Spa Sophia’s special prenatal massage relieves aches in weight bearing joints as well as edema and stress, so moms to be can continue their pregnancy glowing and relaxed. Who Should Get A Pregnancy Massage? The bliss combo massage is a full body massage aimed to let you de-stress, relax and escape. It uses essential oils to restore your skin and send you to Zen land. This is the ultimate mental de-stressing therapy for achieving total mind body balance. Who Should Get A Bliss Combo Massage? This is another good choice is you're still unsure which massage you should get. It's for those who don't have or don't want to address specific trouble spots, but just fully relax their body and mind. Our deep therapeutic massage consists of two full hours of relieving pain, stress and tension throughout your entire body. Multiple techniques are used and customized to your needs to leave you feeling completely restored. Who Should Get A Deep Therapeutic Massage? If you want to know which massage you should get to sample a ton of different massage techniques, this is the one. The Deep Therapeutic Massage combines alleviating pain in trouble spots with techniques that serve to relax and de-stress. Getting this massage is like hitting the reset button for your body and mind. This aromatherapeutic massage allows your senses to navigate your escape from reality. By selecting an oil of your choice at the start of your massage, you decide the experience. Through the inhalation and application of oils and hydrating shea butter, the massage restores, allowing your senses to be renewed and awakened during this journey to well-being. Great for the skin too! Who Should Get A ZENTS Journey Massage? The ZENTS Journey massage is great for the more adventurous client that wants to relax and escape reality in new ways. 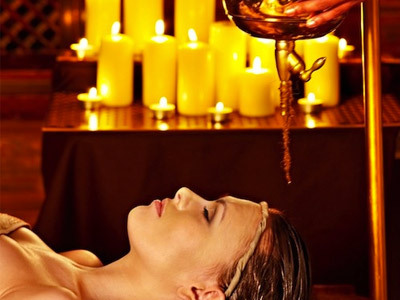 Want to experience a Spa Sophia massages? You can book one online, call us at (310) 564 6676 or email us to make an appointment. If you'd like to enjoy our 25% off for two October special, please call or email instead of booking online.